Pinnacle Health welcomes you. The world class physicians, hospitals, and other providers that constitute the provider network of Pinnacle eliminates the need for numerous intermediaries in the healthcare process. These providers offer the best value to you and your employees. Moreover, quality is at the forefront of the process, since healthcare decisions are made locally by those actually providing the care.You and your employees become the beneficiaries of Pinnacle's empowerment of its healthcare providers. We offer long term value through an approach that truly cements a partnership to address your healthcare needs. We look forward to being your solution,and we thank you for the opportunity to present our services. The difference between a good company and a great company is one thing: its people. Our people make us great. From our world class providers who serve on the front-lines everyday, to those who work behind the scenes, the Pinnacle Team is dedicated to your satisfaction. The leadership, expertise, and dedication of those people associated with Pinnacle is a major component of our success, and a distinguishing factor from our competition. Put the Pinnacle Team to work for you! 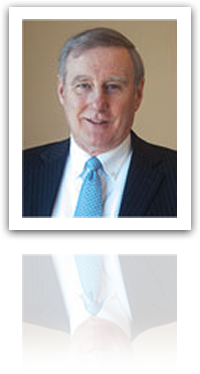 PAUL BROUGH, President and Chief Executive Officer - Extensive hands-on management background in ACOs, managed care organizations, HMOs, and health insurance, provides Mr. Brough with the management experience and expertise to adeptly manage and lead the Company into the future. He is a Massachusetts native, whose vision led to the formation of Pinnacle.